Each year the Sigur Center hosts Visiting Scholars from around the world, who are selected on a highly competitive basis to conduct research related to Asia. 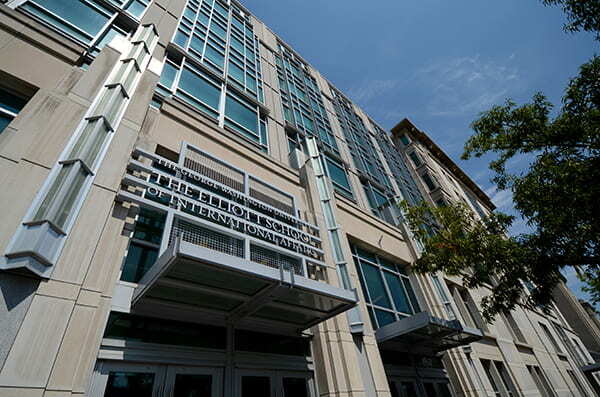 The Sigur Center normally provides shared use of an office; access to a computer and the Internet; borrowing privileges at GW’s Gelman library; limited telephone, fax, and photocopying privileges; and an opportunity to interact with other scholars focusing on Asia. The Sigur Center’s advantageous location in downtown Washington, DC also allows Visiting Scholars the added benefit of ready access to many think tanks, U.S. and foreign government offices, universities in the metropolitan area, and other excellent resources. Visiting Scholars are expected to play an active role in the intellectual life of the Sigur Center and the Elliott School. As such, Visiting Scholars at the Sigur Center should anticipate participating in activities such as – but not limited to – attending Sigur Center events and providing guest lectures in GW course related to their research topic. Visiting Scholars must also present their research in an oral presentation or written report to the Sigur Center by the end of their term. Visiting Scholars are usually doctoral candidates, faculty members at universities, analysts at research institutions, or mid-career government officials.